These are tanned craft-grade muskrat skins. They come in approximately the same size. 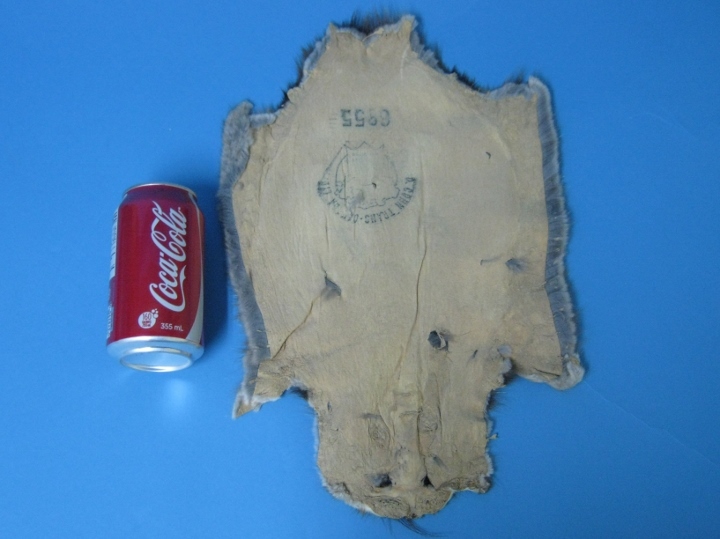 The one above is 39 cm long by 24 cm wide, and weigh 80 grams. 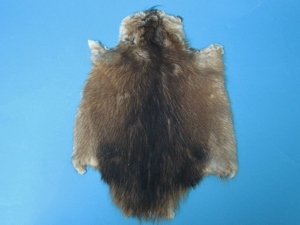 Muskrat are not endangered and are not subject to CITES controls.